Geophysics, a key discipline of the Earth Sciences, is principally an intersection of the geology and physics. It can be called “The study of the Earth by quantitative physical methods”. In Geophysics various sorts of instruments are used to make direct or indirect measurements of the parts of the Earth being studied, as compared to the more direct observations which are typical of geology. NCEG conducts geophysical surveys to characterize subsurface geological structures/environments using latest sophisticated instruments and high skilled professionals of either discipline. 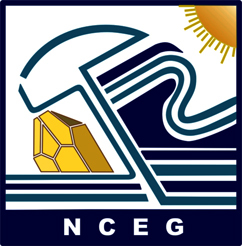 NCEG has developed cost-effective techniques for entire subsurface mapping using a diverse range of noninvasive geophysical methods. These noninvasive geophysical methods are employed to get valuable information in the subsurface for multi-disciplined research purpose. These noninvasive geophysical methods are employed to get valuable information in the subsurface for multi-disciplined research purpose. Out of all exploration geophysics methods, seismic is the most developed and advanced method. The two methods thus known are seismic reflection and seismic refraction method. 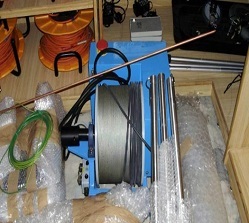 Seismic methods are extensively used in hydrocarbon exploration, geotechnical and in specific mineral sectors.NCEG has seismometers and strong motion recorders from GoeSIG Ltd., Switzerland, which are installed as a network from D.I. Khan in the south to Chitral in the north. This network will greatly add to acquisition of real-time data on seismicity of the Khyber Pakhtunkhwa, which will not only improve seismic hazard zonation but will be greatly helpful in emergency response. An online database is made to view the recent earthquake list. The Geometrics high sensitivity Cesium Vapor Magnetometer model G-858 MagMapper is the industry standard for mining, oil/gas exploration, unexploded ordnance detection, archaeological surveys and utility location. The simple-to-use logging console provides real-time feedback up to 2 acres per hour of tight line spacing coverage plus several options that can increase productivity even further. 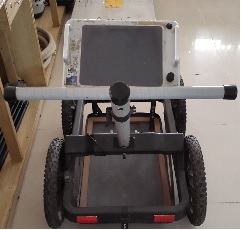 Ground Penetrating Radar is a totally non-destructive technique to produce a 2 and 3 dimension view of subsurface without any drilling trenching or ground disturbances. • The GPR operates by transmitting electromagnetic impulses into the ground through transmitter antenna. Ground penetrating radar waves can reach depths up to 40-50 meters in low conductivity materials such as dry sand or granite. 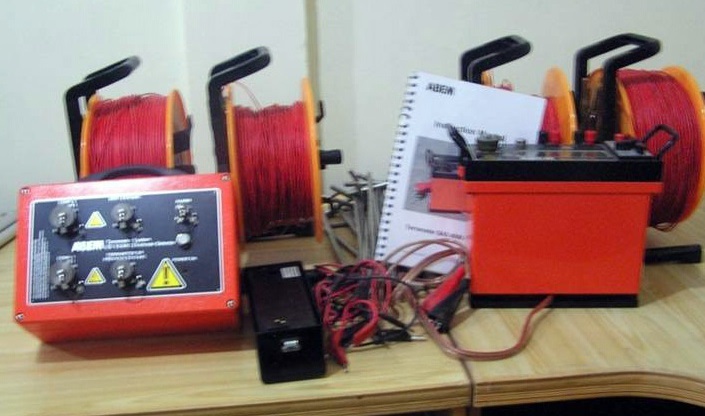 automated resistivity imaging in 2D and 3D. Borehole logging is a simple cost-effective method of characterising demarcating the subsurface lithology and performance of water wells. Logging has a vital role and check during initial drilling, development and performance monitoring to identify developing well problems before they lead to costly failures. RG's Micro logger 2 and television equipment is small, easy-to-use and highly reliable. Hydro logger sonde possess a capacity to measure shortnormal 16, longnormal 64, temperature natural gamma, self potential, single point resistance etc. The data so acquired enables bed boundary identification, porosity determination, strata correlation, strata geometry and formation water quality assessment. It is the new generation of ultra-compact and ultra-lightweight instruments for high resolution digital seismic noise measurement. 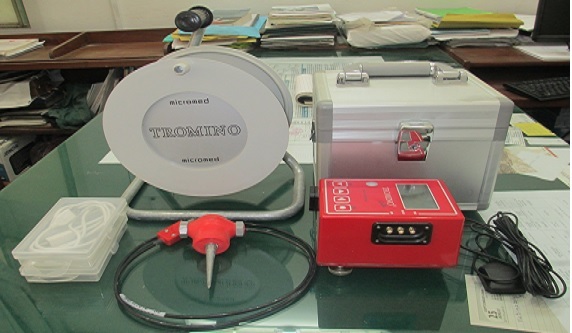 TROMINO®ENGY allows to measure also the large and potentially dangerous vibrations in buildings and structures. The new Geode seismic recorder combines the best of Geometrics' traditional seismic recorders with the flexibility and convenience of a distributed system. It's ideal for refraction or reflection, downhole or VSP - even tomography surveys. 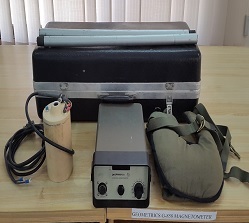 The Geode seismic modules house from 3 to 24 channels each, weigh only 8 lbs (3.6 kg) and interconnect using inexpensive digital network cable. The Geode will run all day on a small 12v battery and sleeps when not in use.